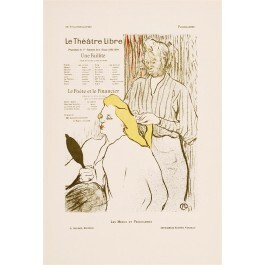 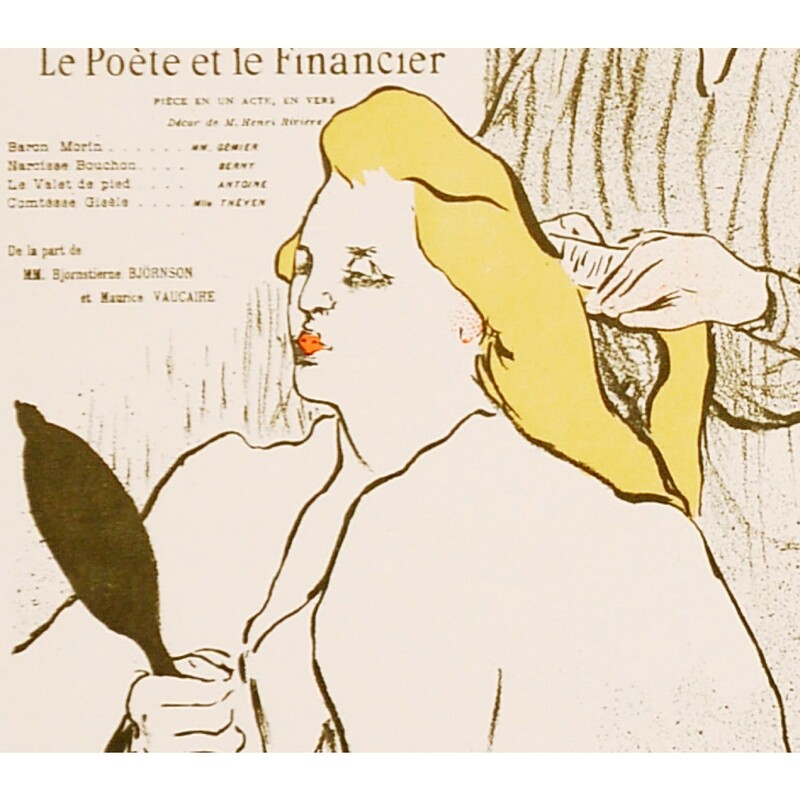 Henri de Toulouse-Lautrec (1864-1901) realized this program cover image for Le Théatre Libre. 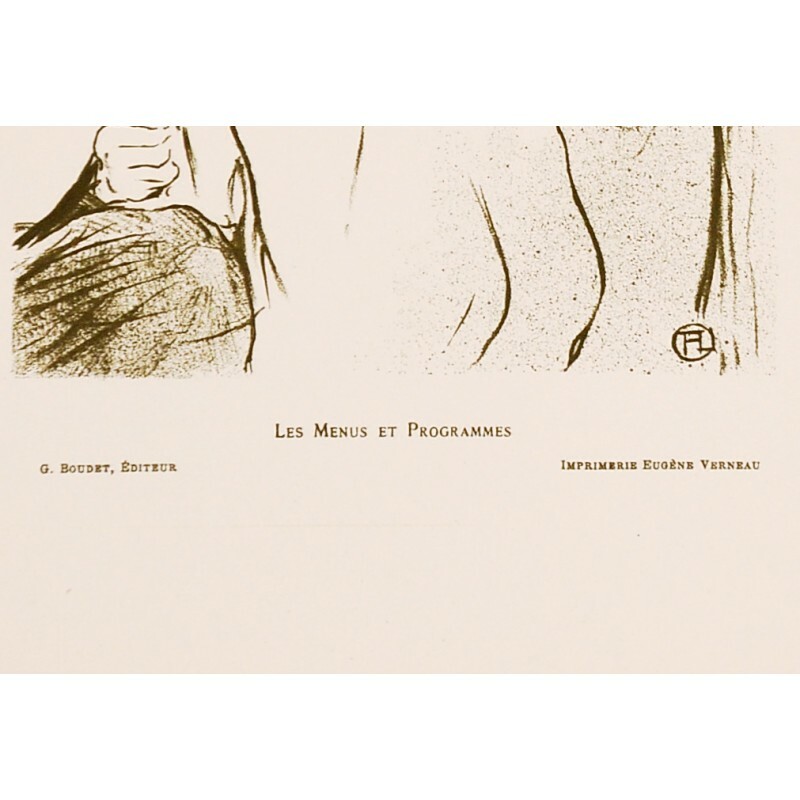 It was included in the publication Programmes Illustrés des Théatres et des Café-Concerts. This series took artwork originally created to advertise theater productions and café concerts and made it more widely available. 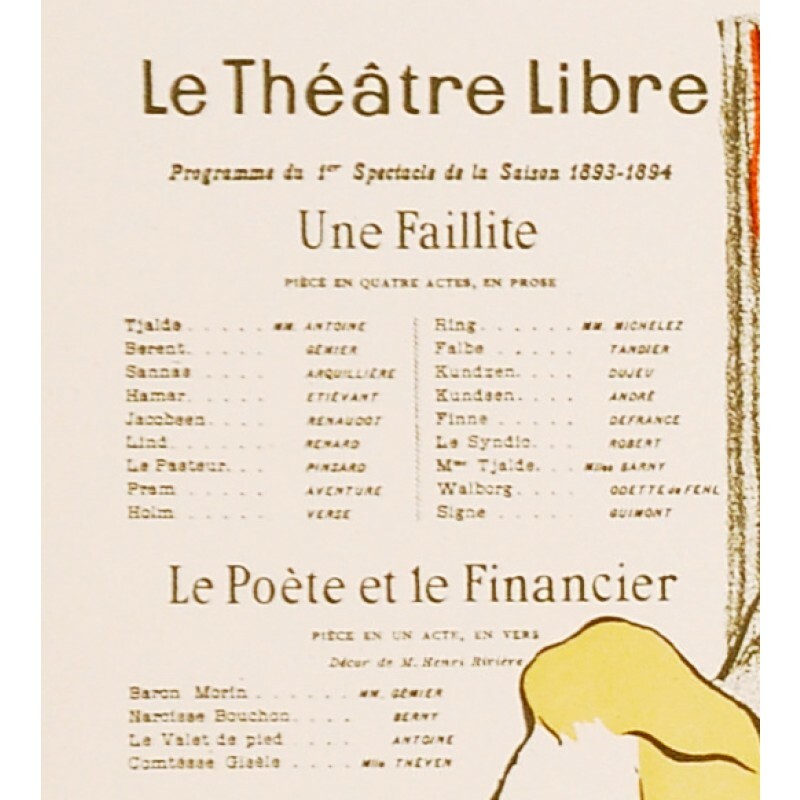 The 1893 design was commissioned by André Antoine for his Le Théatre Libre (The Free Theater) and used for two plays Une Faillite (The Bankruptcy) and Le Poète et le Financier (The Poet and the Banker). 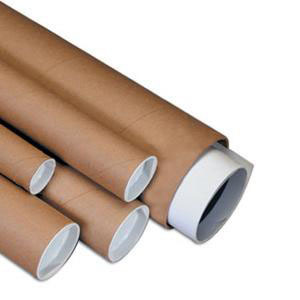 The lithograph series was published by Ernest Maindron and printed by Imprimerie Eugene Verneau, in Paris.